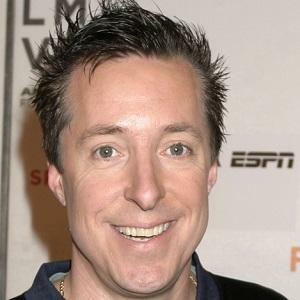 Sportscaster most famous as the voice of "Ferrall on the Bench" on CBS Sports Radio. He was also an announcer for Howard Stern's Howard 101 channel on Sirius from 2006 to 2012. He got his start reading sports news on KQV radio in Pittsburgh. He got his big break after he befriended Gregg 'Opie' Hughes and Anthony Cumia of 'Opie and Anthony' fame. He married a woman named Stephanie. He made an appearance in the 2009 film "Big Fan" starring comedian Patton Oswalt.